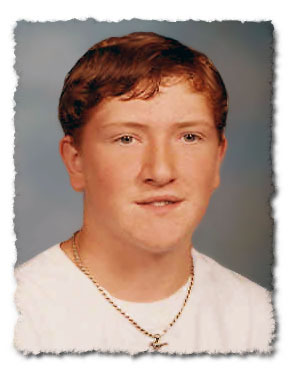 Ten years ago Billy and Kathy Inman of Woodstock, GA, were taking their only child, then 16-year-old son Dustin on a fishing trip in their new Pontiac Grand Am just days before Father's Day. While the Inman’s were stopped at a traffic light in Gilmer County, Georgia, their vehicle was rear ended by Gonzalo Harrell-Gonzalez, an illegal alien from Mexico. Gonzalez told police that he fell asleep at the wheel. The impact of the 60mph high-speed crash left Gonzalez with minor injuries and the Inman family forever physically and emotionally shattered. Dustin Inman, who just turned 16-years-old and was to enter the 10th grade at Etowah High School, died at the scene. There would be no more cherished father and son fishing and hunting trips. No need for dad to continue to teach his son how to drive. No more Mother's Day or Father's Day cards from Dustin. Dustin was gone--forever. Dustin’s parents, Billy and Kathy Inman, suffered injuries so severe that they both had to be life-flighted to an Atlanta hospital. Days after the accident, the Inman’s remained hospitalized and unconscious, unable to attend their son’s funeral being held at the Rolling Hills Memorial Garden Cemetery in Acworth, GA. The Inman’s severe brain injuries prevented them from learning about their son’s death until weeks after the crash. Billy Inman, who experienced a closed brain injury, regained consciousness two weeks after the crash only to learn of his son’s death and burial and his wife's coma. Kathy Inman’s injuries left her in a coma for 5 weeks. After Kathy gained consciousness, she learned that she was partially paralyzed and would be confined to a wheelchair. Kathy would also be plagued with constant pain and in needed of a series of surgeries that would continue for over a decade. This was the Inman’s family’s tragic introduction to the issue of illegal immigration. After Dustin’s death, the Inman family like any victim’s family wanted answers. After being discharged from the hospital, the Inman’s learned that the Gonzalez had not been charged or arrested for the crash. At the urging of family and friends the Inman’s hired an attorney to pursue charges against Gonzalez. What stunned Billy and Kathy Inman was that Gonzalez had not only been illegally in the U.S. for a number of years, but he was able to work the system as if he was in the U.S. legally. Gonzalez was able to obtain a valid North Carolina drivers license, obtain local employment, and even purchase a car. Gonzalez was not even turned over to Immigration and Customs Enforcement after being involved in another traffic accident in Gainesville, Georgia in December, 1999, just months before Gonzalez crashed into their car. The Inman’s also learned that congressional and presidential politics also played a role in the death of their only child. For several decades the federal government, under a series of administrations had purposely ignored the illegal migration of millions of foreign nationals into the United States. The vast majority of illegal migration coming from Mexico as Gonzalez had done. Past Democratic and Republican administrations had avoided taking serious steps to stop the influx of illegal aliens for basically the same reason—attracting and or maintaining Hispanic and Latino campaign support in congressional and presidential elections. A number of influential national Hispanic and Latino ethnocentric organizations such as LULAC, MALDF, and La Raza, had also been lobbying local, state and federal politicians and public officials to adopt a hands-off policies regarding the illegal migrants, of which the public was told were only here "to support their families." These groups never acknowledge the relationship between Latin American drug cartels and illegal migration or speak about the millions of American victims left jobless or physically harmed in the wake of the unprecedented level of illegal migration. How was Gonzalez, an illegal alien able to obtain a North Carolina driver’s license? The answer is painfully simple. The Mexican government provided him (and millions of other illegal aliens) with a Mexican Matricula Counsular I.D. (which the Federal Bureau of Investigation (FBI) has testified is not a secure form of I.D.) and got North Carolina’s Division of Motor Vehicles to accept the Mexican matricula as proof of residency for the purpose of applying for a driver's license or learning permit. North Carolina's lax legal residency documentation requirements has resulted in many illegal aliens using a North Carolina driver's license as a "valid" breeder I.D. for obtaining other "valid" ID in other states. North Carolina is not the only state with lax licensing regulations, but it was the state that issued the license to Gonzalez and made it easier for him to legally drive in Georgia. Unfortunately, Mexican consulates across the U.S. continue to hand out Matricula Counsular I.D. 's and some local and state governments continue to accept them as valid identification. * Steve Salvi is the founder of Ohio Jobs & Justice PAC (ojjpac.org).